Firebird by Gigantic brewing is a 6.1% ABV Smoked Hefeweizen. Beer# 18 in the endless series of limited edition artist and artisan beers. A refreshingly complex wheat beer. Aromas of clove and banana intermingle with the light smoke imparted from German malt kilned over beechwood fires. A smoked hefeweizen? Never had such a thing but it sure does sound tasty. I got this one online on the bringonthebeer.com site. 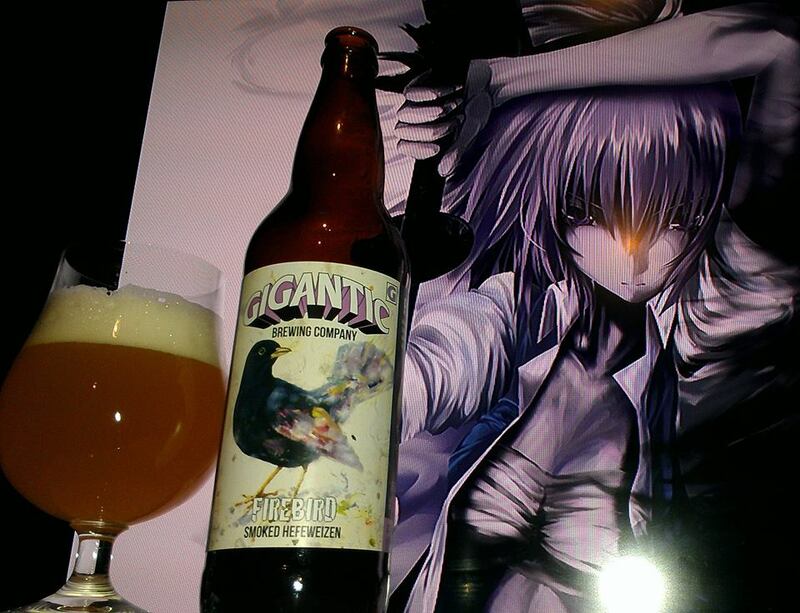 I have had Gigantic beers in the past and they really have some nice labels that pair awesomely with some of the anime art work. They do this in the name of beer and the arts, so to that, I say cheers!! Now let us see what this one is like. Burnt sugar, grilled bananas, smokey campfire but doesn’t overwhelm the hefeweizen, sugar cream, oranges, citrus, coriander spice, brown sugar, waffle cone, biscuit bread, honey glazed ham, old orange, peppercorn and clove spice. Smoked ham, grilled bananas, burnt sugar, clove spice, coriander spice, smokey campfire notes, old oranges, citrus, biscuit bread, brown sugar, honey, graham crackers, toffee, caramel, vanilla, oak, bubblegum and BBQ. Ending pretty dry at the end with a small bit of the smokey oak, banana and clove spice fading. No alcohol in the taste. Easy to moderate drinkability with a light to moderate mouthfeel. A very good hefeweizen if you enjoy hefeweizens and the smoked beer styles. If not, then this one you may not like. However, the way this is done, not one style over powers the other. It is pretty well balanced keeping the beer smoke and the sweetness in line. Definitely recommended if you can find it. Youmu Konpaku from the Touhou series was used in reference to the beer label and the ashy smokey aspect of the beer that blends well with the hefeweizen style. The feather in the back of her sword suggests that she is the firebird referenced in the beer label itself. Any other things you can find from this beer that seem awesome? 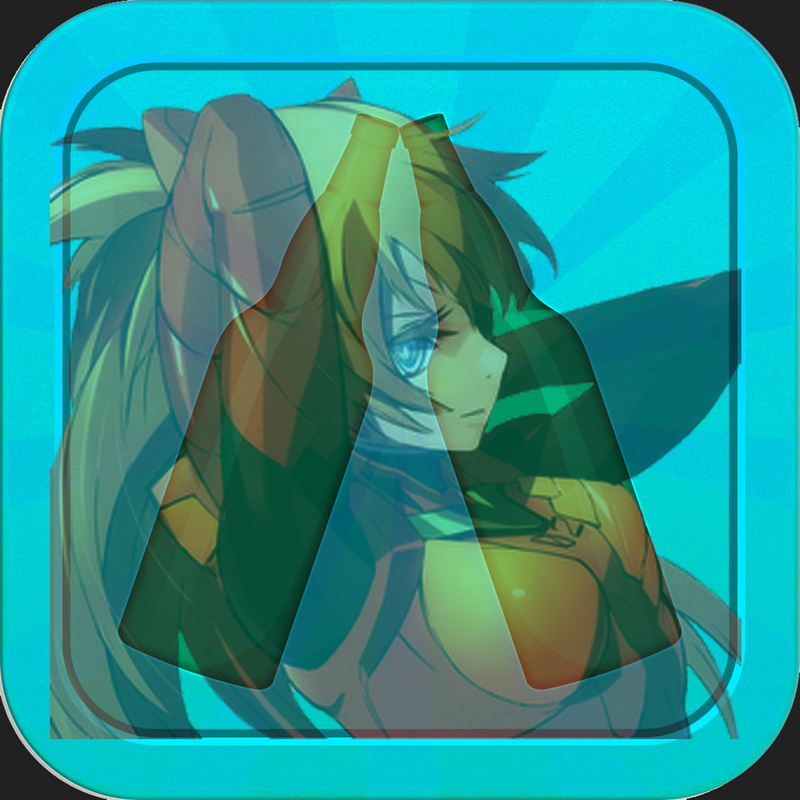 Rating: 6/5* In the top 10 best of the world, it sure proved it’s worthiness. Since founding our brewery in 1996, we have specialized in the rare art of brewing beer in oak barrels. In the fall of 2006, we embarked on a program to barrel age a series of vintage strong ales that would later be used as components of blending beer. That blend would become our first Anniversary Ale, “10”. After the release of “10”, we released limited amounts of the component beers on draft only. Many of these beers gained a cult following that craft beer fans raved about and begged for us to put in bottle. Parabola was one of these beers. 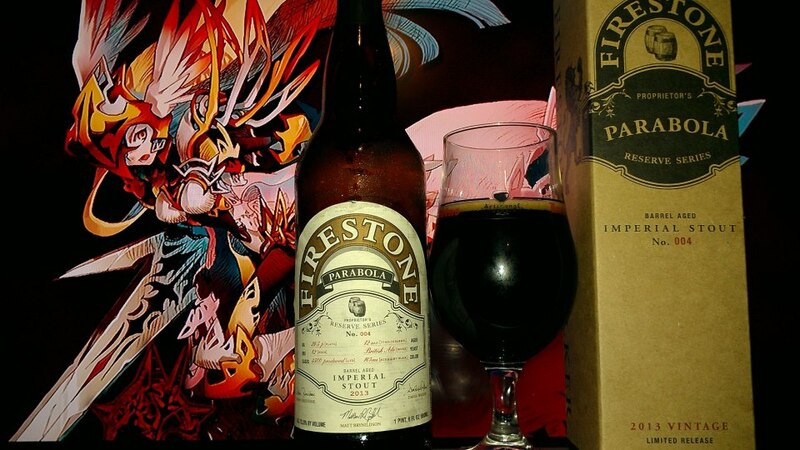 We present the 2013 vintage of Parabola, a barrel-aged Imperial Stout. It has been said that the only constant is change and the same is true for barrel aged beers. Cut from a similar recipe, Parabola evolves and shows a different face each year; a result of time spent again in the barrel. Parabola is a one-of-a-kind sipping beer to last and will reward careful aging for years to come. The mess I had to get in to find this beer. Just amazing. 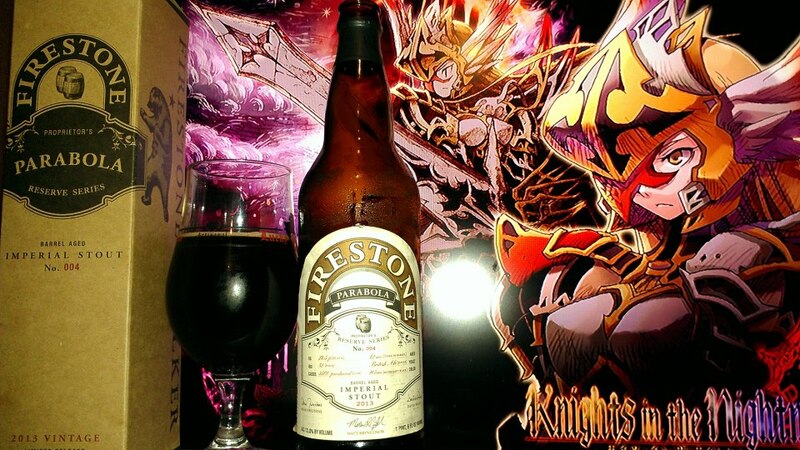 Even for Black Tuesday and Chocolate Rain I had to trade for it but it was easier to get than this beer. I almost left work early when I heard the new of it’s release. Driving on the freeway like a mad man, which is really something I have never done for a beer like this. In fact I wouldn’t do a lot of things for certain beers, even when they released Westy 12 in December 2012 I could care less. But this one was something that I really set my eyes on and was damned to get it. It was so hard to get that by the time I got there, it was literally the last one at a Ramirez Liquor in Boyle Heights, California. I was glad I made it on time. No limits for this release either when sold at their store. Maybe one day I will get another to age but now that I will review this for the masses, it may inspire those to go seek this black liquid gold for themselves, even if online. Fragrances of this beer are very complex. Hershey’s milk chocolate, almonds, Mexican “cocada” coconut candy, oak, vanilla, bourbon, marshmallows, dulce de leche caramel, sweetened condensed milk, flan, roasty sweet burnt notes, crème brulee, Kahlua coffee, cherries, raspberries, prunes, raisins, capirotada raisin bread pudding, molasses, hazelnut, brownies and a slight cola like smell that reminded me of a Port Wine like Trois Pistoles. Damn, this is very complex. The Flavors are insane!! : You get a ridiculous amounts of chocolates like sweet, milk, dark, bakers and slight Abuelitas chocolate followed by vanilla, dulce de leche flan, bourbon, cocada coconut candy, roasted coconut, espresso, mocha, crème brulee, dulce de leche, raisins, cherries, raspberries, prunes, hazelnut and walnut capirotada raisin bread pudding, chocolate syrup, cocoa powder, molasses, chocolate chips ahoy cookies, oatmeal, sugar cream of wheat, marshmallows and slight port flavors. Best way to describe this chocolate cake frosted coffee cake sprinkled with coconut, nuts, dipped in bourbon, made with portwine, dipped in bourbon, vanilla caramel glazed, mixed with fruits with Rocky Road Ice Cream on top and well, just a complete and utter dessert. Should I remind that the bitterness actually comes from the roasted coffee notes. The insane part is that it is very balanced, very drinkable and un-overpowering, very smooth, and its freaking amazing as it it goes down. Like a nice chocolate and chewy syrup that coats the back of your throat but then becomes like a milk chocolate. The craft beer Holy Grail. This is not Black Tuesday or Chocolate Rain or even White Chocolate. However, this beer proved that it can actually transform with every sip. It’s evolution is insane. Which reminds me of why something like this would be called Parabola. (Skip this if you don’t like math 😛 ) If there was a graph depicting a change of flavors with every try, I would say it fits into the definition of a Parabola. The flavors change going from a bourbon coconut to an extreme chocolate upper limit, then back to a bourbon coconut. Ofcourse the flavors keep changing as you go along to what I described earlier. Also the temperature is in charge of these changes as well. Gets way better as it warms up. Yeah, even if you have to go out of your way to get this, I would recommend it by all means to anyone who has not tried this. Also, apparently, from past years, what may have also contributed to the high rating is the fact that even the Brewmaster said this is the best version yet. So there you have it. Get one for now, cellar one for later.